Spoilers follow! Don’t be mad if you haven’t seen the movie and you read this! 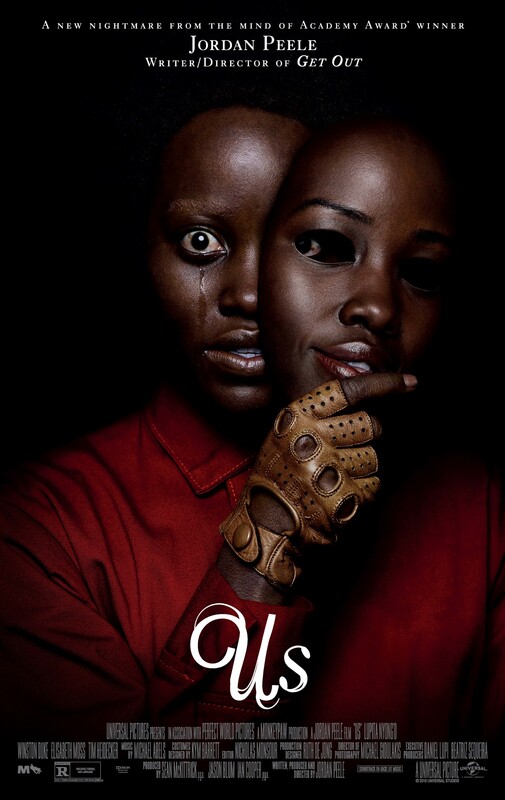 I went to see Jordan Peele’s previous foray into inclusive horror, “Get Out,” twice in theaters and I watched the version with the alternative ending with my sister at home. I thought about that experience with his work and what he had done before going to see “Us” last weekend with a predominately Black audience for a few reasons. One of my closest friends and I went to see “Us” in Harlem because Black People. We are Black women who always have something smart to say, especially when we are inspired by a juicy, meaty film about Black folks. I was looking forward to this experience almost as much for the conversation we would have about it afterwards as the actual experience. The best thing about Black folks watching movies is that we interact with the screen like it’s a call and response experience. With one another we experience everything like we have at our church homes, whether we are churched or not at this moment, it feels like — everything has a deeper dimension, like it’s happening on earth but it’s also happening on some kind of spiritual plane. Horror is not really my jam — I believe being a Black woman in America is scary enough, TYSVM — but when I saw “Get Out” in Harlem, the folks on either side of me were screaming at the main characters and cracking up in the right parts and groaning when the white father mentions his liberal bonafides a little too pointedly. The feeling in the theater was, “This is so good this is so good this is a movie for us.” And the cheering that commenced at the end was phenomenal, unforgettable. We felt not just that we had been vindicated, vicariously, of course, through the main character, but that we all knew a woman or a story about a woman, about a family, like “Get Out”’s chief villain and the side pieces too. A young Adelaide Wilson wanders off from her parents into a house of mirrors off the Santa Cruz boardwalk in 1986. What she discovers in this creepy place is a reflection of herself that turns out to be a hostile doppelganger, which will turn out to be not just her own problem as we find her, present day, returning to a summer home with her husband, the adorably clueless Gabe (Winston Duke), and their two children, a boy, Jason, and a girl, Zora. They seem to have everything — they are beautiful, they are talented, and they are just regular Americans. The biggest challenge the Wilson family seems to have at first is that Gabe gets a new boat (true story: it’s like, a dinghy) and he can’t seem to figure out the engine situation. Things get weird again when they end up back on the same beach in Santa Cruz where Adelaide first encountered her evil look-a-like. This time they’re lounging with their white friends, Kitty (a fantastically irritating Elizabeth Moss) and Josh, in the sand. Kitty and Josh have twin, terrifying girls, Becca and Lindsey, who don’t seem to want to interact at all with Jason and Zora. Then Jason goes wandering off. When he goes missing, briefly, Adelaide is triggered and no one can have fun anymore after that, so they head home and call it a day. Both in the opening scenes and again here, we see not-very-subtle clues that some End of the World type stuff might unfold. It’s not going to be Revelations-type damnation, but like, something slower. A dude flashes a cardboard sign that reads Jeremiah 11:11 as Adelaide tumbles toward her destiny on the beach right before the sky opens up; another dude refers to this scripture again on the beach, in an ambulance. At home, Jason has made time to draw a scarecrow-like man with blood dripping from his sleeve and something with that scripture written on it. This is supposed to, and does, scream: Obviously Something Bad Will Happen Soon. Naturally, I wanted to understand the Scripture that kept popping up on screen, but out of respect for my fellow theatergoers, I kept my phone dark and in my purse. Later, a reading of Jeremiah from my New International Version of the Holy Bible describes the people of Judah and Jerusalem who failed to be obedient to God. It’s described as a people breaking a covenant with God and the wrath that’s to come. OK, so back at the summer home, a family that looks just like The Wilsons pops up at the end of their driveway. In what is essentially one of the few highlights of the movie, Gabe goes HAM (or tries) with a baseball bat, to no avail. They get held captive/hostage by Adelaide’s double, or as I think of her, her shadow: Red. Red is the head of her family of The Tethered and the mastermind behind what will unfold throughout the rest of the movie, The Untethering. The rest of the Wilson’s family’s doppelgangers — Abraham, Umbrae and Pluto — don’t talk, exactly. Instead, they move in animalistic, creature-like ways. They make guttural sounds or grunts. They are the extreme, dark sides of their human counterparts. So what follows is a kind of cryptic explanation of why Red is so mad: Her people have been relegated underground, in what looks like an abandoned subway system. (At the start of the movie, we are told that there are many different tunnels and abandoned spaces underground throughout the United States.) But she has orchestrated their resurrection, so to speak, starting with killing The Wilsons, presumably. It is a joyous thing to know that the black people are not going to die first because this film is about them and centered on them and will redefine the genre just by its mere existence. I don’t know why that gave me comfort, but it did. At the same time, I didn’t quite understand what I was supposed to get out of the blood spilled, the Biblical reference, the Hands Across America tie- in as some survive the Untethering and most people do not. It’s abundantly clear that this is a movie meant to unsettle and awaken our own understanding of our psychological shadows, what we are attached to and what needs releasing — hence the golden shears as a clue in the movie poster. It is clear, too, that there is a message in the movie about our fear of looking at ourselves and our ugly parts; maybe excess, maybe hyper smartphone use, possibly our gadgets of all kinds, our vanity, our selfishness. I kept thinking of other spiritual sayings as the movie came to an end: “As it is above, so it is below.” That kind of thing. This was despite the shouting of a woman I didn’t even get to see nearly bellowing at the screen telling Adelaide not to re-enter the home of her dead/Untethered white friends in the theater, which then inspired another man in the theater to tell her to just shut up. Thankfully, all was relieved by a scene that followed which made the entire place rock with laughter and relief only for all of us to hold our breath again. I held mine throughout the end of the film, honestly. I think that was the point, but it’s not clear. “Us” is exactly like that — the kind of movie that makes you gasp, laugh and hold your breath in anticipation. You know that you can’t wait forever but eventually you have to just exhale because what you’re waiting for doesn’t arrive. You also don’t know what you’re waiting for, and that’s a feeling. I don’t know if it’s an intended feeling, but it’s the one that I felt when the lights went up and my friend and I looked at each other, puzzled, and walked out.